In a recent unpublished decision out of the Appellate Division of the New Jersey Superior Court, a two-judge panel illustrated the importance of following through on commitments made as a term of a modification of a judgment. In the case, William F. Black v. Kristen M. Black, William had filed a motion for modification of his monthly child support payment for the couple’s two children. The couple had divorced in May of 2008, after a 2 ½ year separation which had begun with Kristen obtaining a final restraining order against William. Kristen obtained primary custody of the children, and William was ordered to pay $305 a week in child support. He was over $18,000 in arrears by September of 2011. William requested a modification or termination of his support obligation in March 2012, claiming that he had become disabled physically and psychologically, and received only $700 per month in Supplemental Security Income benefits. William also requested that he be permitted to visit with his children on a regular basis. William had not submitted any documentation of his disability or showing that $700 constituted his only income. Kristen opposed William’s motion, and requested that William undergo psychological and substance abuse testing before being allowed to resume visitation or reduce his support obligation, arguing that these tests were relevant both to determine whether or not he was capable of being allowed custody of the children and whether he was truly unable to earn the income necessary to pay his support obligation. The court agreed in an order issued in May of 2012, suspending William’s child support modification pending a hearing to be held several months in the future after William had undergone the requested evaluations, and permitting supervised child visitation. The court reminded William of his obligation in October of 2012, and when Kristen again attempted to enforce past orders in August of 2013, the judge agreed that William’s time to comply had run out. William was ordered to again pay his support obligation, noting that William had received significant financial relief without honoring his obligation on which that relief was contingent. William appealed, but the Appellate Division upheld the lower court’s ruling. While William argued that submitting to the psychological and substance abuse evaluations were relevant only to a determination of whether he could visit with the children, the court disagreed. The appellate panel’s opinion pointed out that whether or not William was psychologically disabled affected his ability to hold gainful employment, according to William himself, and so requiring William to pay his full support obligation until he could show that he was unable to hold a job was justified. 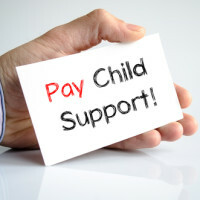 If you are seeking to enforce a child support order or modify an existing arrangement in New Jersey, contact experienced and knowledgeable Union family law attorney John B. D’Alessandro at 908-964-0102.